TULARE – Tulare County Information & Communications Technology employee Ryan McArthur spent much of his extra time in 2013 fixing and upgrading the County’s financial hardware system, AFIN. It was a daunting task because the project was over budget and overdue. At the time, the AFIN project was not his problem or his main focus. However, McArthur, an Administrative Services Programmer Analyst, stepped in and assisted his coworkers to complete the project before the extended deadline – saving the County more than $100,000 in vendor costs. McArthur’s hard work paid off. The 11-year County employee was recognized on Tuesday by the Board of Supervisors as the 2013 Tulare County Employee of the Year. McArthur is the first TCiCT employee to receive the Employee of the Year honor since the department was formed in October 2007. 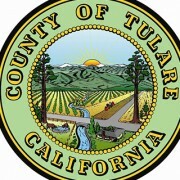 Chairman of the Board of Supervisors Phil Cox said more than 120 County of Tulare employees were nominated from 16 different departments. TCiCT Director Peg Yeates said McArthur has a contagious positive attitude, commitment to the overall success of the organization, excellent follow through, positive and useful suggestions, and creates efficiency within the organization. In addition to being recognized as Employee of the Year, McArthur will also receive a week of paid vacation.